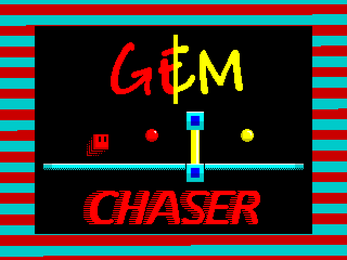 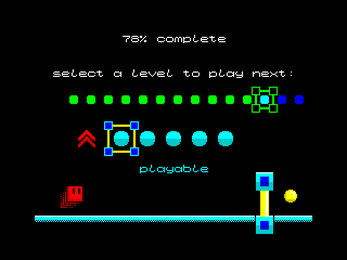 Simply collect the coloured gems to match your colour - then change your colour to collect the others - simple - but amazingly challenging with 70 levels to beat. 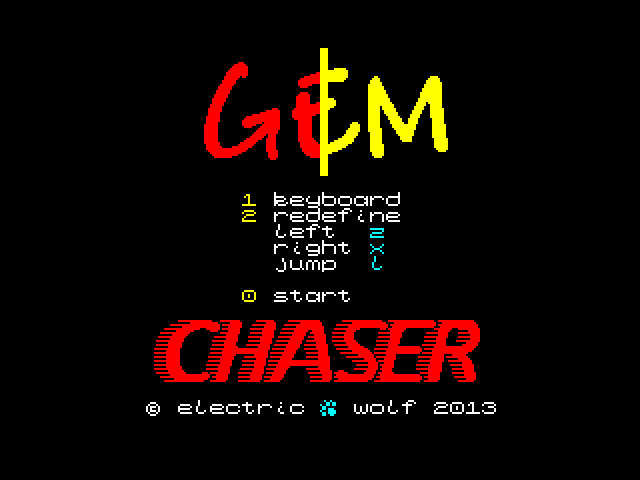 Another fine game from the Electric Wolf crew, and the first of their Xbox 360 games I've converted to the Spectrum (the previous two - Noir Shapes and Miner Man - being converted to the ZX81). 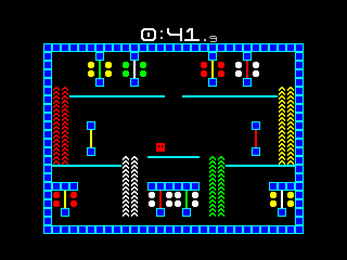 When I saw the original game its bold colours were a perfect match for the Spectrum, and having it run within a frame makes for a fast, fluid, sometimes frustrating, but always frantic game. 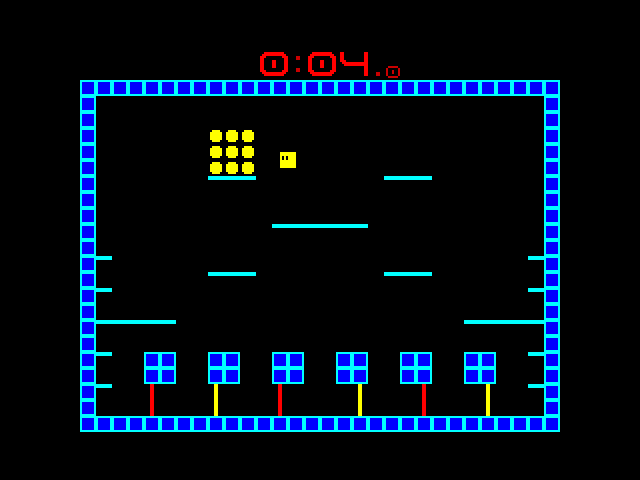 It doesn't have cutting-edge graphics, but it doesn't need them either, the gameplay is king here. 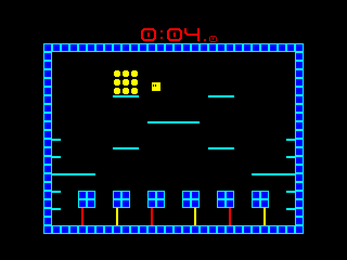 Many thanks also to Andrew Owen - previously famed for naming splATTR - for producing the front-end music for this game, and overseeing my work on the in-game SFX. 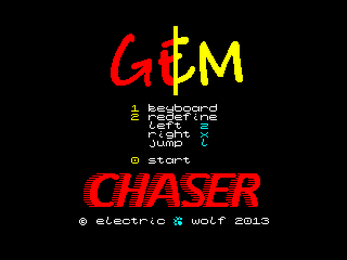 More details on the original Xbox 360 game can be found at the Electric Wolf website - http://www.electricwolf.co.uk - which also contains a link to the Xbox marketplace where you can download the demo or full version of the game. 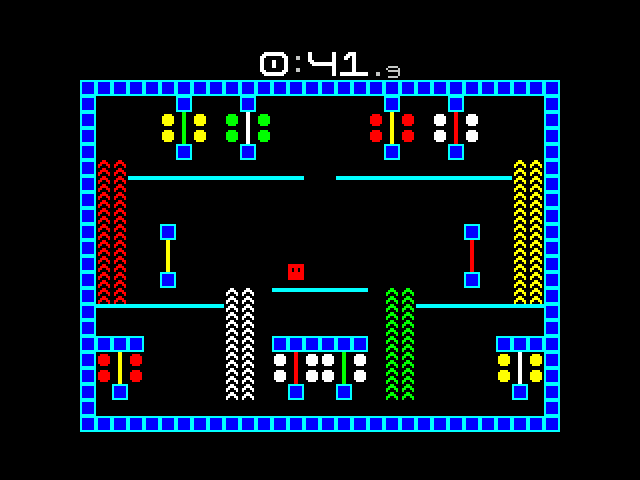 MicroMart - "The layouts are well designed and require a lot of thought to take the correct paths in order to move onto the next challenge. There are 70 to work through, and is a good enough cross-over to please both platform and puzzle game fans"